The body is an amazing instrument and can be used for many unique skills. 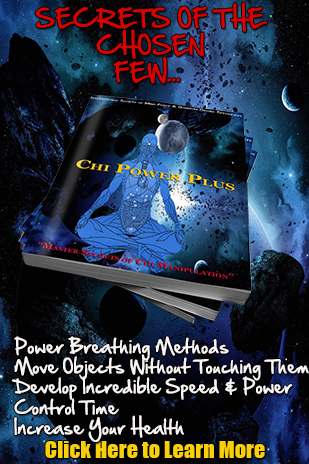 One of them is the sensing of chi or energy…The sensing of chi is the ability to read it on a person and tell if they are using it to manipulate with. As you watch the show, I would like you to do it under a state of awareness and attention, yet relaxed. When the body is relaxed you will be able to feel alot more of the sensational awareness around you…Even on TV! As a matter of fact, I can get pumped up just by watching our “ADVANCED CHI DVD”, because there is a lot of energy being moved in the video, even though it was filmed 10 years ago! The reason I say this, is that a lot of magicians use tricks and slight of hand, while others use chi along with the tricks. My challenge to you is to see if over the length of time of the show, you can tell who is actually using chi, and who might not be…You can rely on your mind and body to tell you the answers, if you will only allow yourself to believe it to be true! I predict many of you will come to the realization that you have more sensitivity than you ever could have imagined. Please remember that your eyes will lie to you much more than most of your other senses, so keep that in mind when watching.